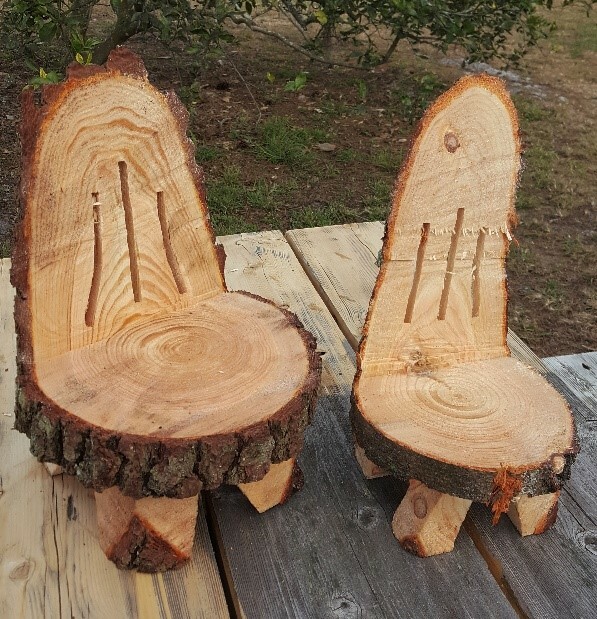 These adorable and charming rustic Lumberjack carved chairs are perfect for children. Little girls especially love these for their dolls or buy more then one for the perfect tea party chair. Some ladies also, like these as a plant stand for display their beautiful plants. All chairs are not always exactly this size, may range in a difference of ½ inch either larger or smaller.